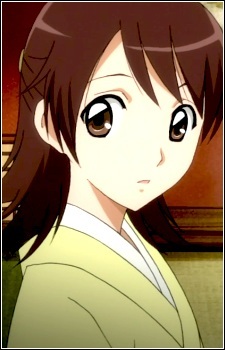 Wakana is Rikuo's mother and Rihan's second wife. She is human and lives in the Nura house, though she herself is human, she seems to have no problem living in a home full of yokai. Wakana first met Rihan when she was in high school. Her household had been haunted by an evil spirit for quite some time, and he managed to get rid of it. As a result, they became friendly and he started taking her along on his nightly yōkai rides. Wakana frequently noticed that Rihan rarely smiled and would even go so far as to pull his mouth into an impromptu grin in an attempt to get him to do so. On one of their outings, she told him that she will make certain to live longer than him in order to always look out for him.